One of the larger decisions to make when designing your dream kitchen is what cabinet style best fits your vision. Not sure what your options are? We’ve put together a list of the most common styles. 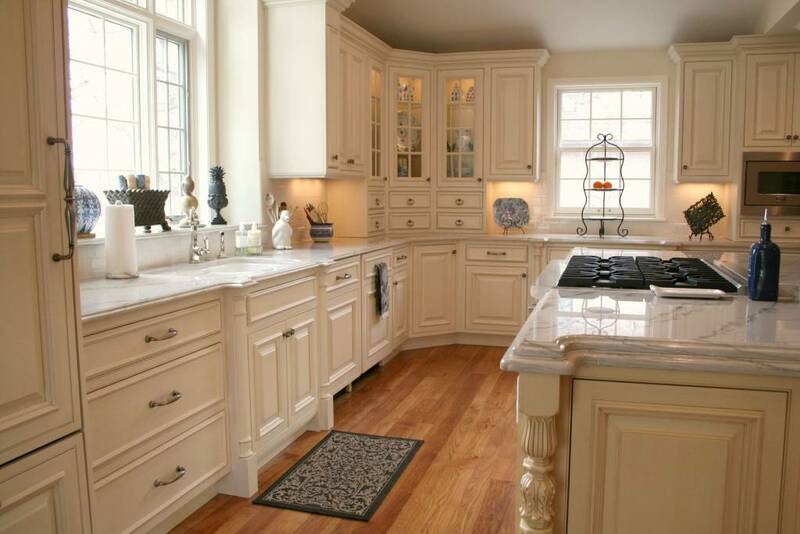 Traditional cabinet styles have a classic look with plenty of extra detail. Customarily, doors have raised-panel or applied-molding designs. Colors range from clean whites and creams to natural and dark wood stains. Furthermore, features may include finial hinges, ceiling molding, light rail and decorative accents. Inset construction – when doors are set flush with the outer frame of the cabinet box – is a popular option in the traditional genre. Transitional cabinet styles feature a simple, functional design. 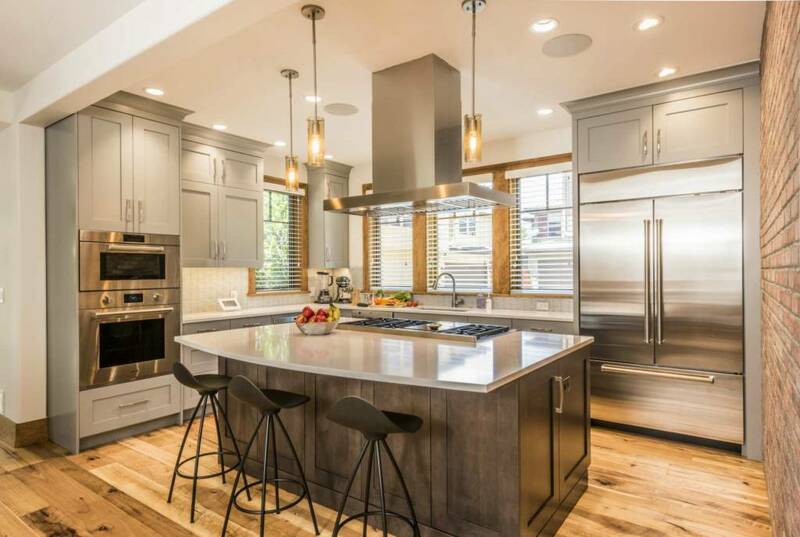 With Shaker-style as an example, characteristics include flat-panel doors, natural wood finishes and paints in a variety of colors. These cabinets fall in between traditional and contemporary design, which makes mixing and matching easy. 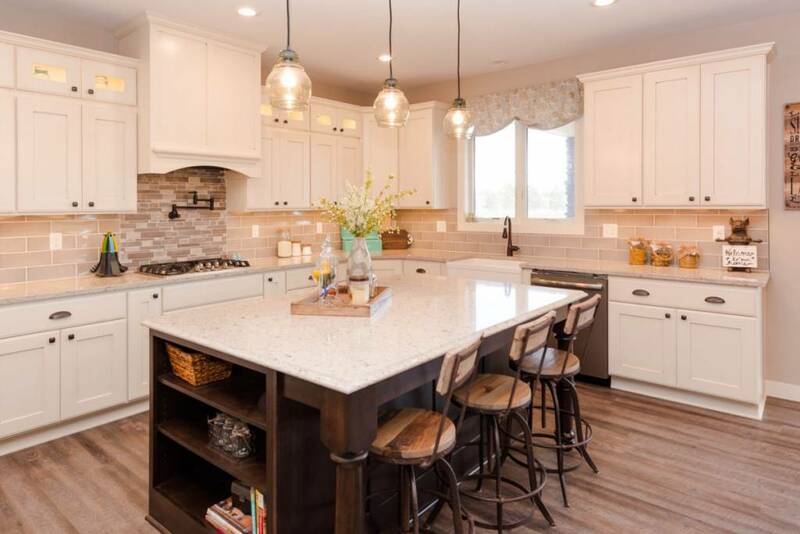 Transitional style is one of the most popular design choices in today’s kitchens. Not only does it offer timeless appeal, it easily complements a variety of home décor styles. 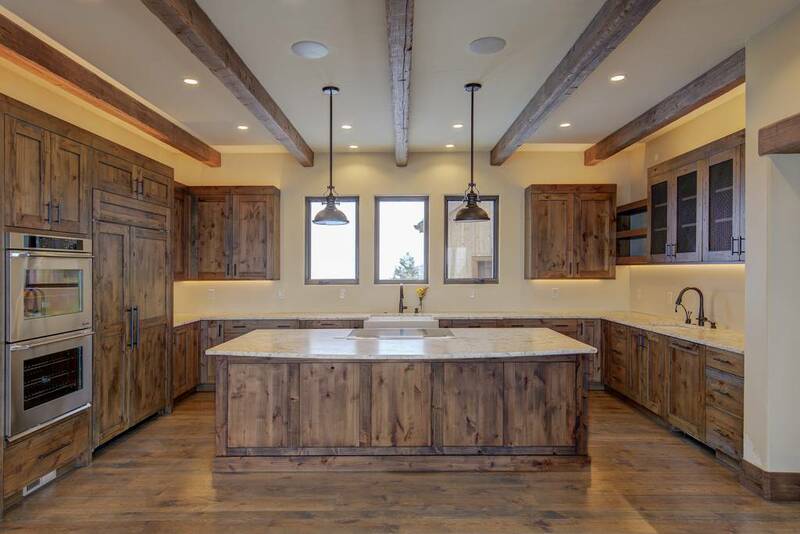 Rustic cabinet styles reflect a mountain or country-cabin lifestyle. Designs pull from nature and include raised-panel or flat-panel knotty wood doors with natural stains. Common features include varied knots, distressed detailing and heavy glazing. These elements highlight the imperfections of the wood and enhance the rugged look when combined. Metals like copper and oil-rubbed bronze pair well with this style. 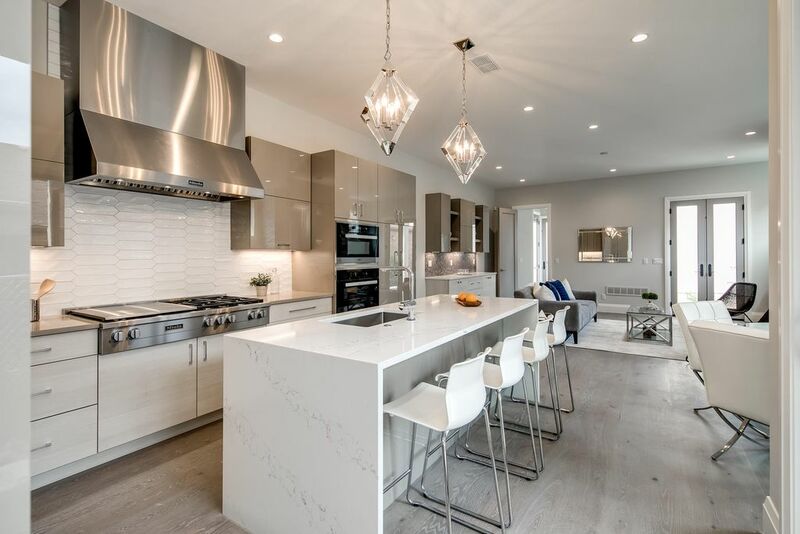 Contemporary cabinet styles are minimal in design and offer full-access interiors. Elements of this look include flat surfaces, symmetry, sparse ornamentation and modest hardware. Typically, frameless door finishes are high-gloss or textured melamine. Additionally, monochromatic colors and simple textures provide a clean, cohesive look. To help ease tasks, cabinets may include automatic mechanisms and other high-tech features found in modern kitchens. Craftsman style, also referred to as Mission style, was created in response to the ornate, mass-produced furniture of the late 1800s. Cabinets emphasize straight lines and quality craftsmanship with minimal decoration. Typically, they are made with heavy woods like quarter-sawn oak, walnut or cherry. 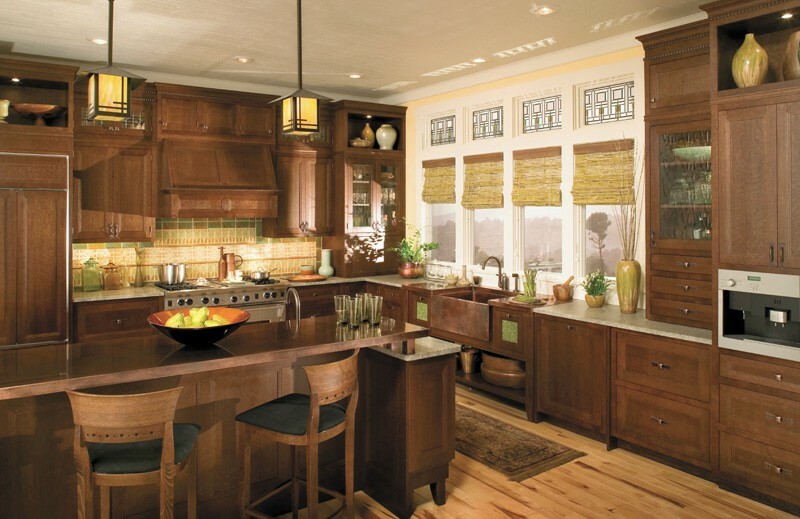 Cabinets are then finished with simple, rich stains to enhance the natural wood patterns. Wrought-iron hardware and stained glass accents round out the Craftsman look. Farmhouse, or country, cabinet styles reflect a cozy, home-centered vibe. In this design, doors are crafted with raised-panel, bead-board or other decorative accents like recycled glass and metal wire. Natural wood is a common material, but paint is also popular in colors like butter yellow, pale blue and cream. Furthermore, glazing or dry-brushing applied over the finish enhances the country charm. In a farmhouse kitchen design, an apron-front sink is a must-have feature. For design variety, glass-front cabinet doors offer a nice focal point. Although technically not a style on their own, these doors pair well with matching solid cabinetry. Glass fronts are perfect for showcasing special dishware, cookbooks and collectibles. Inserts come in a variety of patterns to complement any design as an added bonus. Also, integrated lighting will highlight the interiors to bring added ambiance. Ready to start planning? Get a closer look at cabinet examples and brainstorm ideas with the design team at BKC Kitchen and Bath. 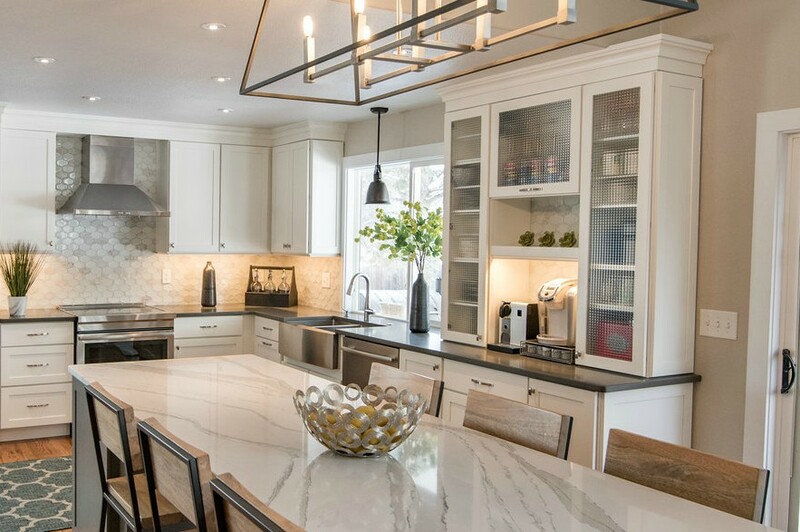 We’ll help find the perfect cabinet style for your home!